Reading: I’ve got lots of book back-up right now, but mainly, I’m slowly reading Mindy’s latest book, Why Not Me?. I don’t want it to all be over though, so I’m taking my time with it. I’m also trying to catch up on The New Yorker, because, I’m like, super cultured or whatever. Listening to: Limetown! And so many other podcasts. This American Life, The Moth, Radiolab, church sermon series, and most recently I’ve discovered the hilarity that is Tara Clancy. Thinking about: So many things. First of all, where the heck is all of my money going? I guess it doesn’t help that I’ve just been doing so many things lately. I’m still determined to blog about my summer, as well as the most recent fall adventures I’ve been on. I’ve also been thinking a lot about why people live where they live, as well as why I live where I live, and what I’m doing with my life, blah, blah, blah. Looking forward to: My sister visiting me tomorrow for a week! We’re going to do fall things and hang out and, she doesn’t know this yet, but I’m going to make her help me purge things in my room because she’s really good at that. Shh, don’t tell her. Enjoying: Fall in New England. It really just is the best. 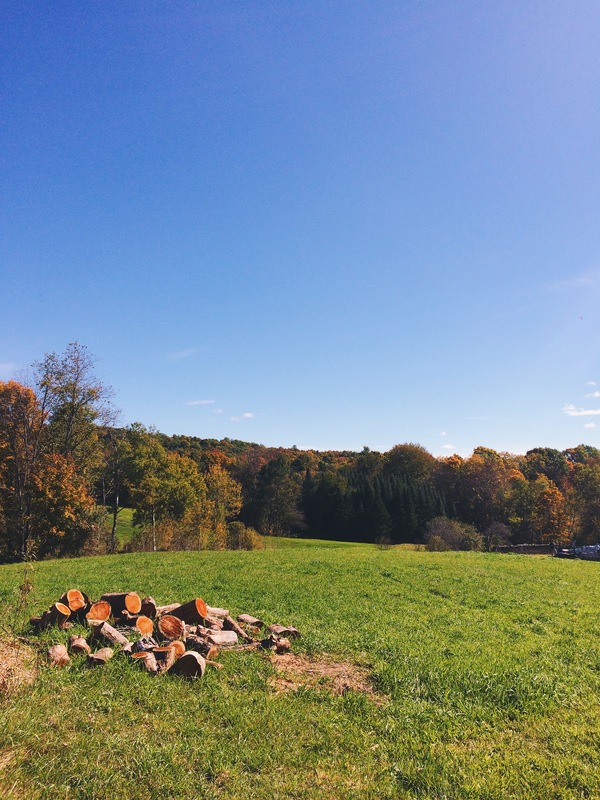 I was in Vermont this weekend for Heidi’s wedding and everything was just beautiful. There really is nothing like it, and I don’t think I’ll ever tire of it. Learning: So many things. I have this long list of projects I’d like to accomplish (flower arranging, ukulele playing, Dutch speaking), but for now, the most immediate project is that I’m learning how to code. That is what’s been taking up all of my very limited free time, and mainly why I’ve been so very busy. Planning: I’ve had plans every weekend since August, and it’ll be that way through November. All fun things, but I’ve realized that I’ll just need to schedule some time to be alone and not do anything. Because this introvert sure needs it. I’m excited for my upcoming bedroom purge though, and then, since I’m going home for Thanksgiving this year, I may even take a peek into all the things I have in storage. Maybe. We’ll see. Who knows. Eck.